Everyone loves summertime with its beautiful sunny days, blue skies and the smell of holidays in the air. However, the hot temperature and the UV rays of sun can cause many skin problems which will dramatically make your skin looks dull and neglected. Dry Skin:skin can lose moisture and essential oils, making it appear dry, flaky and prematurely wrinkled, even in younger people. Sun Burn: Sunburn is the skin injury that appears immediately after the skin is exposed to UV radiation. Long-term changes in the skin’s collagen:These changes include photo aging which is premature aging of the skin because of sun exposure. The skin develops wrinkles and fine lines because the UV radiation damages the structural collagen that supports the walls of the skin’s tiny blood vessels. What are some ways to prevent or help? 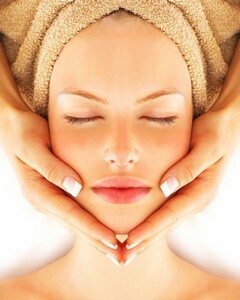 Schedule regular facials. This a great way to better understand your individual needs.